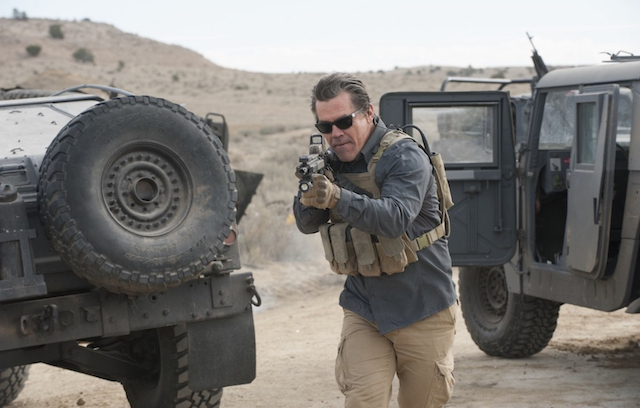 This is not a direct sequel to 2015’s “Sicario,” but it does include a couple of characters from that film, portrayed by Josh Brolin and Benicio Del Toro. Stefano Sollima takes the director reins from Denis Villeneuve and original film writer Taylor Sheridan again formulates the tale. The story is a pretty bitter pill, with a border standoff that is manufactured by the U.S., and border crossing teams that trades upon a need for souls seeking a new life in exchange for cold hard cash. There is an odd journey for the character portrayed by Isabela Moner, from pampered princess to pawn in a game of deception. The film is absorbing from beginning to end, and another hard lesson about the pure luck of being born in the right place, if not necessarily the right time. There is a suicide bombing in a retail store in Kansas City, and the terrorists who committed the act are suspected to have entered the U.S. with the help of Mexican drug cartels through the southern border. The Secretary of Defense (Matthew Modine) is willing to go to extreme measures for revenge, and recruits CIA operative Matt Graver (Josh Brolin) to come up with a strategy. Graver suggests a “false flag”… have the CIA, with help from the sicario (hitman) Alejandro Gillick (Benicio Del Toro), kidnap the daughter (Isabela Moner) of a Mexican drug cartel lord, and blame it on another cartel. They also stage a fake “rescue” of the girl by the FBI to tie it all up. When the government finds out that the terrorists did not come over from Mexico, the cancellation of the original operation isn’t so easy. The film is a lesson of human frailty in the face of decision making that is based on fear. There is also an eye-for-an-eye mentality, which in this case makes everyone go blind. The Mexican police are in the pockets of the cartels, the presidential administration in the film is feckless and the kidnapped princess is tougher than she looks. All of these factors converge to a create chaos, or as in the immortal WW2 saying, “Situation Normal All F**ked Up” (SNAFU). There is a deep well of cynicism in the story, along with horrible bureaucracy and corruption. It may be a sign of our times that none of what was presented seemed unlikely, especially as spy agencies create false scenarios when they can’t get the intelligence information correct. Why, for example, did Lee Harvey Oswald go to Mexico City two months before he supposedly killed JFK? The CIA knows, but what the public doesn’t know will ultimately hurt them. Josh Brolin continues his character actor run with Matt Graver, creating a macho cynic who has no time for rules. Benicio Del Toro seems to be a Jesus character in this one, rising from the dead time and time again. Some slick casting also occurred with the kidnapped princess role. Isabela Moner captured a quality that evolved her character to the endgame. By the time they pity her for being the ultimate pawn, she has transformed to an empty vessel and rag doll of the state. 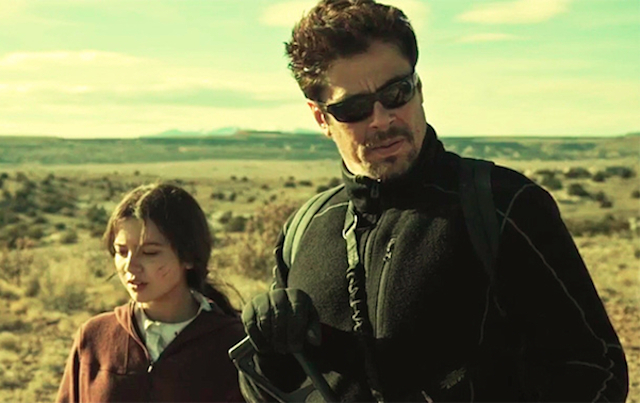 Which makes “Sicario: Day of the Soldado” the perfect 4th of July offering. As we’re told time and time again by the actors of power in Washington, freedom isn’t free, so pay up sucker and temporarily enjoy your cheap clothing and iPhone dreams. “From the mountains, to the prairies, to the oceans” … red with blood.